More Information for Schools About the 2017 Youth Rally for the Planet! First of all, thank you so much for taking the time to organize a field trip at your school. This is one of the most important challenges humanity has ever faced and every student who is able to attend will only increase the power of student voice on this issue! Note: Please share this information with your students! Busses drop students off on the green of the Vermont College of Fine Arts. There will be a number of activities for students to engage in, such as making signs for the march, face painting, and participating in the Maple Mosaic and Youth Voices art projects. 10:00am – 10:30am – March! 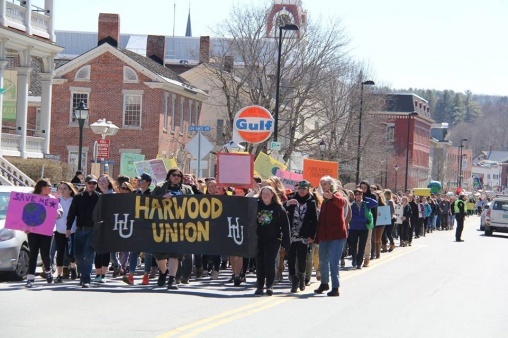 Vermont youth and their allies will march in a parade to the Statehouse lawn. 10:15am – 11:30am – Youth Speak Out! Listen to young speakers/performers and adult allies share their thoughts on climate change. Student lobbyist from each school will have the chance to speak directly with their State Representatives on climate related issues. Students will also have time to eat lunch (we ask everybody to bring their own lunch), and get informed by visiting the tables and booths on the lawn. Students will hear from Lt. Governor David Zuckerman, Congressman Peter Welch, former VT Representative Kesha Ram and other key figures in the climate change movement. Students will have the chance to continue visiting the tables and booths and/or engage with students from other schools in a dialogue about how to follow up on our rally. We are asking school busses to drop off students at the Vermont College of Fine Arts Green between 9am and 10am. If your school will be arriving after 10am, we request that you drop off students directly at the Vermont Statehouse and skip the march. After dropping off students, bus drivers can find ample parking either in the front parking lot at Montpelier High School (the dirt parking lot) or at the State of Vermont Department of Labor Parking Lot (see map below). Parking for cars is available in many locations throughout Montpelier, but there are no ‘official’ parking lots for this event. You may also use the State of Vermont Department of Labor Parking Lot if you’d like. ***A Youth Lobby Greeter will meet you on your bus when you drive in. Please keep students on the bus until the greeter has entered the bus and gone over the rules of the day. We are asking busses to pick up students on the side of the Statehouse between 1:30 pm and 2:15pm. Schools from further away will need to leave earlier than others, so if you can pick up your students later that would be very helpful. Earlier pickup is also possible, though you may miss out on our keynote speakers. ***Please email me at mhenchen@wwsu.org to let me know what time you would like to pick up your students (1:30pm, 1:45pm, 2:00pm or 2:15pm). You can also let your Youth Lobby Greeter know when you want to depart when you arrive at the VCFA. The march from the VCFA green to the Statehouse Lawn will begin promptly at 10:00. All marchers are required to stay in one lane of the road and obey all instructions given by the parade marshals. Please share with your students how special this event is and remind them be respectful at all times. All normal school rules apply. Please remind students that this is a rally, not a protest. We are encouraging all students to be positive and productive. Please remind students to be good environmental stewards by picking up trash whenever and wherever they see it. We want to leave the Montpelier cleaner than we found it. Remember to leave no trace. Please encourage your students to dress up for the event and look professional. Please keep your students on the Statehouse lawn and do your best to keep them from wandering elsewhere. Ditch the brown bag and choose a reusable lunchbox or lunch bag instead. Use a cloth napkin (i.e., one that can be washed and reused) instead of paper napkins or towels. 3. Pack metal utensils instead of plastic. Use a refillable water or juice bottle (i.e., don’t pack juice boxes and plastic water bottles). Avoid single serve packaging; buy your food in bulk and pack in reusable containers. Try to avoid plastic bags. Remember to compost your food scraps at the end of lunch, recycle any plastic containers (that is not a reusable one from home) and bring home any containers, napkins or utensils to be washed and used again! These small changes will end up making a big difference. Check out our Banner/Poster Document for specific suggestions on poster language. Also check out our Climate Chant Sheet for possible chants we might use during the rally. While there will be some supplies and an opportunity to create banners and signs from 9am-10am at the Vermont College of Fine Arts Green, we are highly recommending that schools create most of their signs ahead of time. Try hosting a Banner/Poster making party at your school! We are asking each school to create a large banner identifying the school they are from. We are also asking that students bring their banners and signs back to their schools and use them to create some sort of large art installation that can be used to educate other students about the event. We’d love to get photos of these art installations for use in video that is being produced about the day. 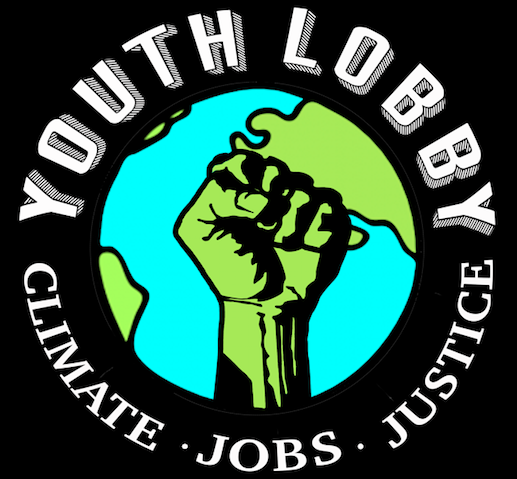 Our Climate, a member of Energy Independent Vermont, will be organizing a huge art installation that will come alive during Youth Lobby Day, April 12th. This is an opportunity to get creative, express yourself, and participate in a true community art project! Anyone is invited to create a tile (1ft cardboard square) and either mail it to VPIRG or bring it to the rally. Check out the Maple Mosaic Toolkit for more details. 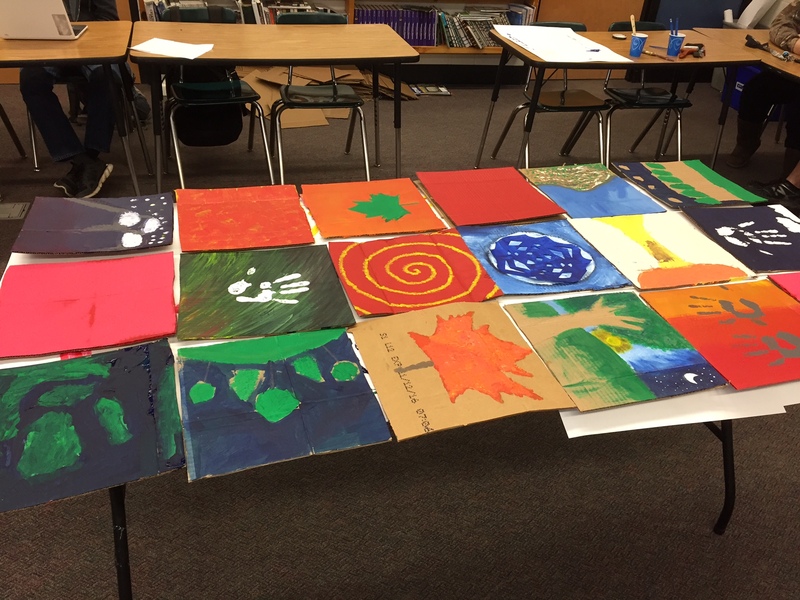 We encourage you to host an art making party at your school and share photos with us! Sign Holding refers to the act of participating in a social or political movement by taking a selfie, or posing for a picture, with a handwritten sign featuring a message about the issue and sharing it online under the designated hashtag. Since first rising to recognition through the “We are the 99%” campaign in 2011, online picketing has become a popular tool in social media activism. Please make sure your message can be clearly read in your photograph. Your photos will be gathered together to form a large collage we hope to hang in the Statehouse cafeteria for a few weeks after the rally. The purpose is to remind VT lawmakers not to ignore the wishes of their youngest citizens. There will be a number of tables where students can learn more about climate change, energy alternatives, and proposed climate change legislation. Check out the Youth Lobby Table when you get to the statehouse to learn more about the scavenger hunt where you can earn Youth Lobby tattoos and stickers!!! Get Educated – Earn Sweet Youth Lobby Prizes! 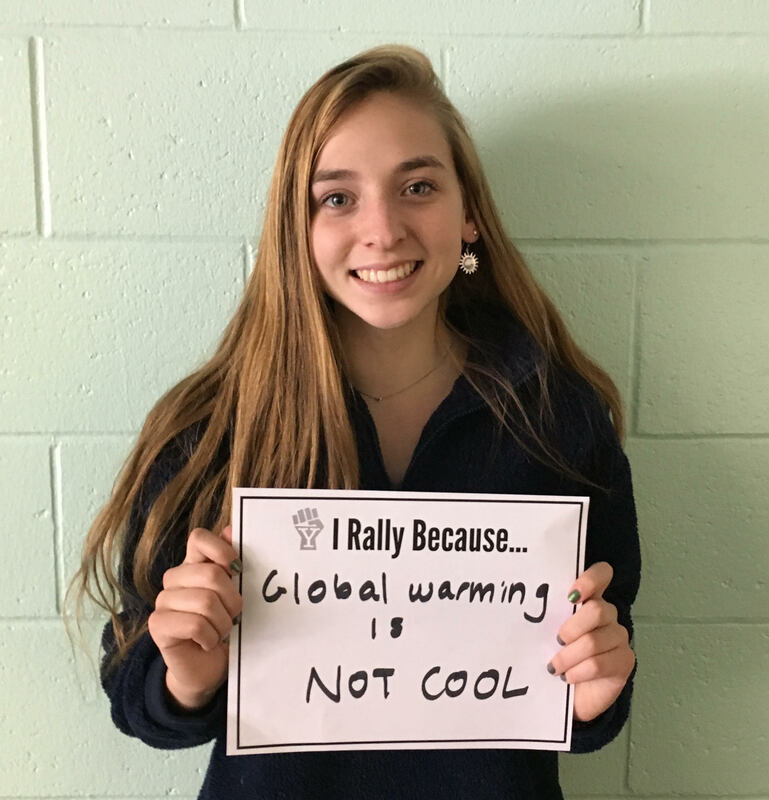 You can also earn some sweet Youth Lobby tattoos, stickers, and even the limited edition 2017 Youth Rally T-Shirt by educating yourself on climate change. 250 points will earn you the ultimate prize – the 2017 youth lobby T-shirt! Click on the folder entitled ‘Educate Yourself on Climate Change’ and complete as many of the activities as you can. 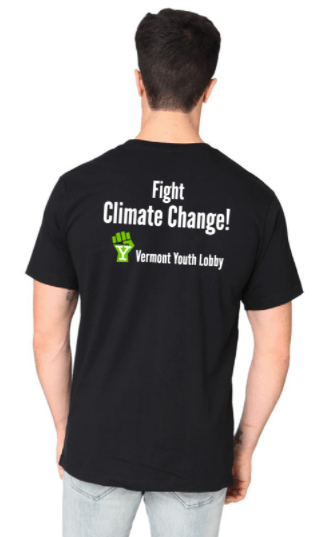 We have 15 limited edition, black, short-sleeve, organic cotton, 2017 Youth Lobby T-shirts – Made right here in America, and custom printed here in VT by Deerfield Designs. The first 15 students to earn at least 250 points by 4pm on Tuesday, April 11th will walk away with one of these sweet T-shirts! ***Please visit the Youth Lobby Table on the day of the rally to pick up your prizes, this is the only way to receive your prize. If you check out the agenda you’ll see that there is ample time set aside during the lunch hour for students to meet with their elected officials on the lawn. If you are interested in a more advanced level of lobbying, please email Emma Schoenberg (eschoenberg@vpirg.org) – she will help coordinate that opportunity. As the event draws nearer, we are getting more and more excited to make a meaningful impact on the Statehouse Lawn at this critical time in the legislative session. Above all, we believe it is our role to lift up the voices of students and youth across the state. Emma Schoenberg, the Membership Coordinator at VPIRG (the state’s largest non-profit environmental advocacy organization) and also a member of the Youth Lobby Day’s Planning Committee will be lending a hand to the advocacy efforts of YLD attendees and has created a youth lobbying guide that we hope you’ll find helpful. Feel free to reach out to Emma with any questions or concerns regarding the attached guide or lobbying on April 12th. Below are some useful resources to share with your students to help them become better informed about climate change and proposed legislative efforts to address the problem. 350VT is collecting funds for the Youth Lobby Day. All donations will go directly to the Youth Lobby Organizing group. All donations are tax­ deductible to the fullest extent allowable by law; no goods or services were received in exchange for this donation. **Any donations from schools will be used to coordinate a two-day Youth Activism Conference this Fall. Please donate – every bit helps. ← It’s Not Too Late to Register!